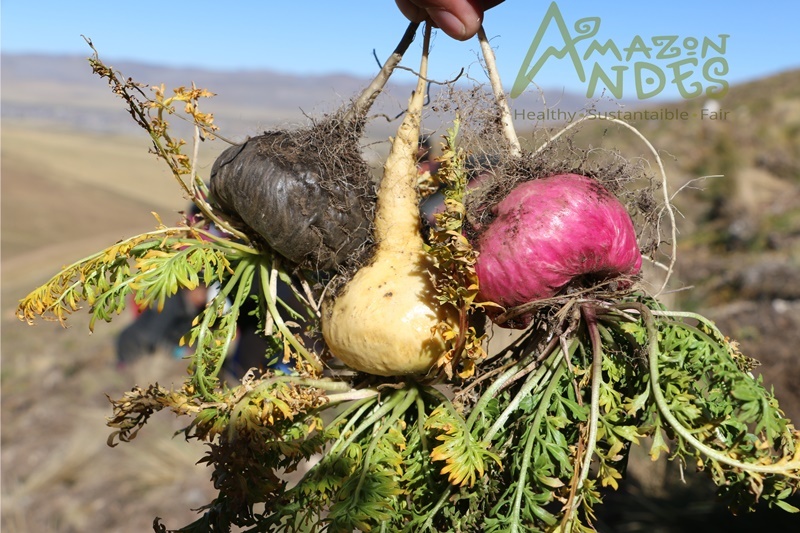 Lepidium meyenii (Maca) grows exclusively between 4000 and 4500 m above sea level in the Peruvian central Andes. The hypocotyls of this plant are traditionally used in the Andean region for their supposed fertility-enhancing properties. The hypocotyls have different colours. Of these, red maca has better effects on hormonal regulation. • Red Maca works very well to support a healthy, regular menstrual cycle. • Red Maca’s hormone balancing properties. • Relevant supplement in sports. Composition: 100% Organic Gelatinized Red Maca powder and vegan capsules. Part used: sun-dried roots red Maca. Use: Adults: Take 4-6 red maca capsules with foods. Children: 1 capsules per day with one of the meals are recommended for children over 12 years old. Contraindications: Not recommended during pregnancy and breastfeeding. Warning: The effects of this product is backed by empirical experience of ancient traditional medicines, with excellent results and the absence of harmful side effects if given within the correct dose. The information listed identified here is by no means an ordinance or a prescription, the use of these natural products does not replace a medical consultation.